MOSCOW, August 14. /TASS/. Nord Stream 2 AG, the operator of the Nord Stream 2 gas pipeline project, obtained a permit for laying the subsea segment of the gas line in the territorial sea of the Russian Federation, the company says on Tuesday. 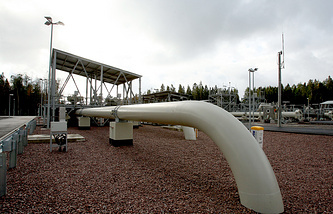 The permit was issued by the Russian environmental regulator and covers a 114 km gas pipeline segment on the bottom of the Russian territorial sea. Practical implementation of the project within the framework of the granted permit will start shortly. The Russian Ministry of Construction earlier issued a permit to build the Nord Stream 2 gas pipeline in Russia. "All the permits necessary for construction of the Russian section of the Nord Stream 2 Pipeline have now been received," the company said. "We are glad to announce that the necessary construction permits in Russia have been granted, meaning that the Nord Stream 2 project is developing according to the planned schedule. We will further rely on collaboration with the countries involved to ensure the project is implemented in a timely and efficient manner," Chief Project Officer of Nord Stream 2 AG Henning Kothe said in a comment.